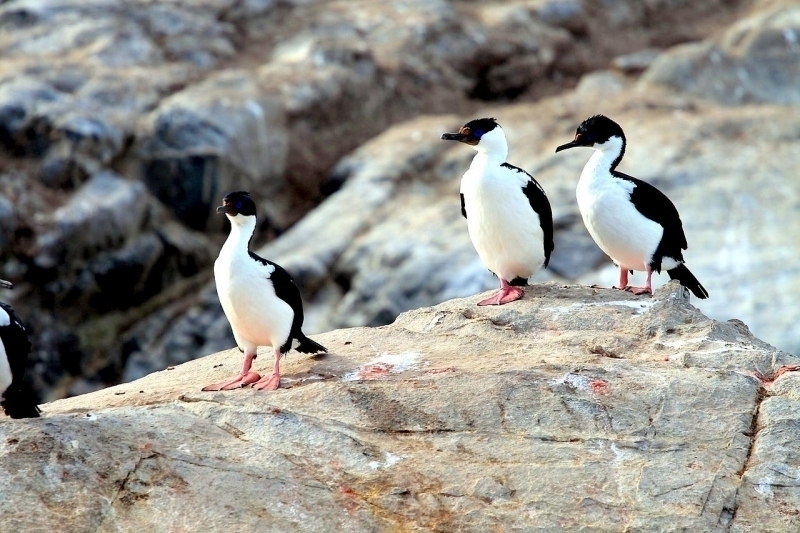 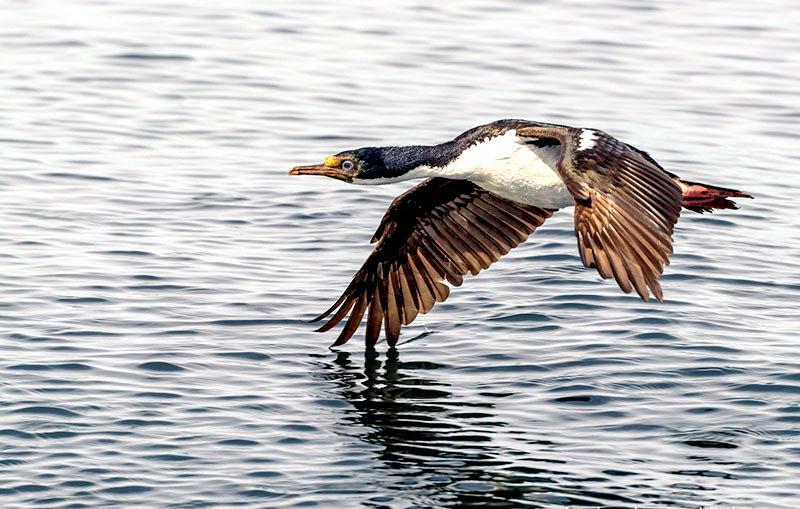 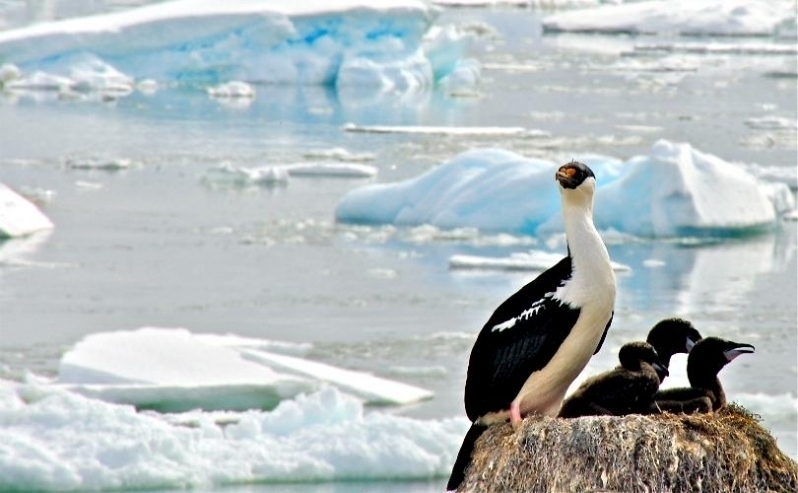 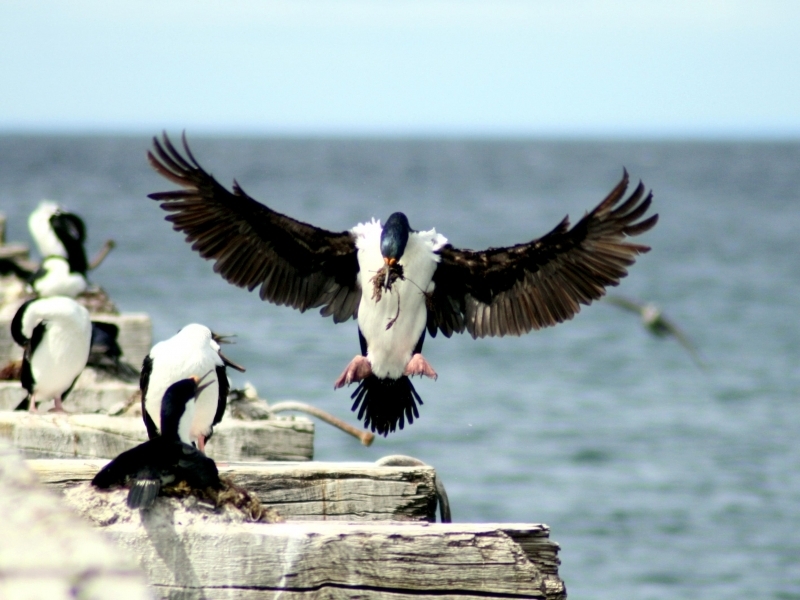 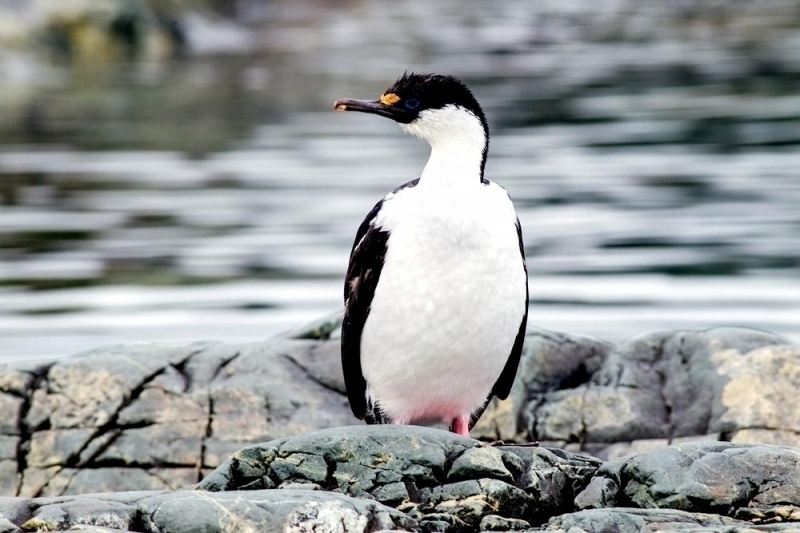 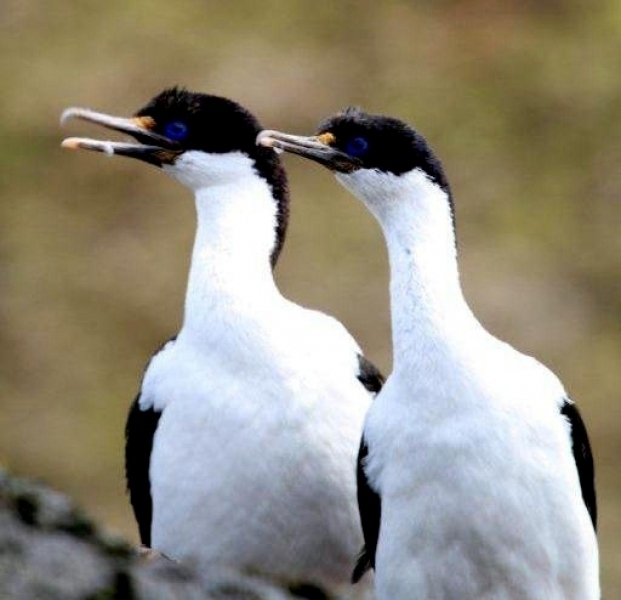 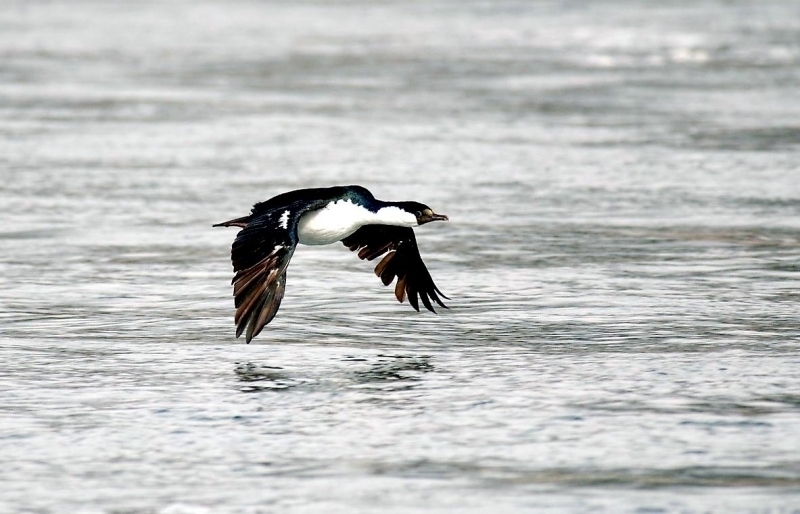 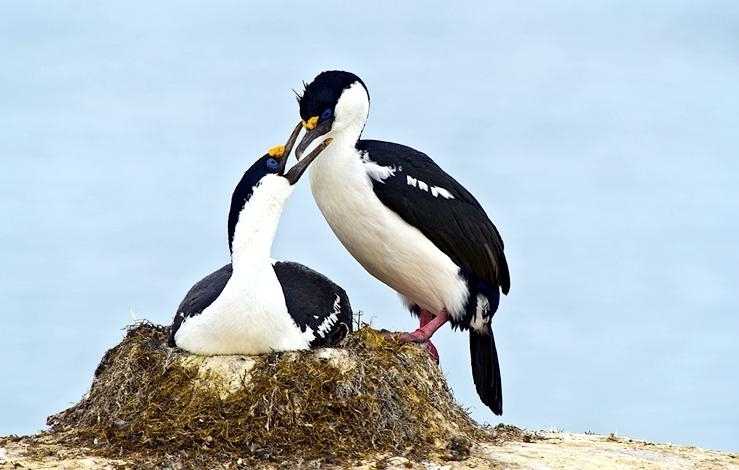 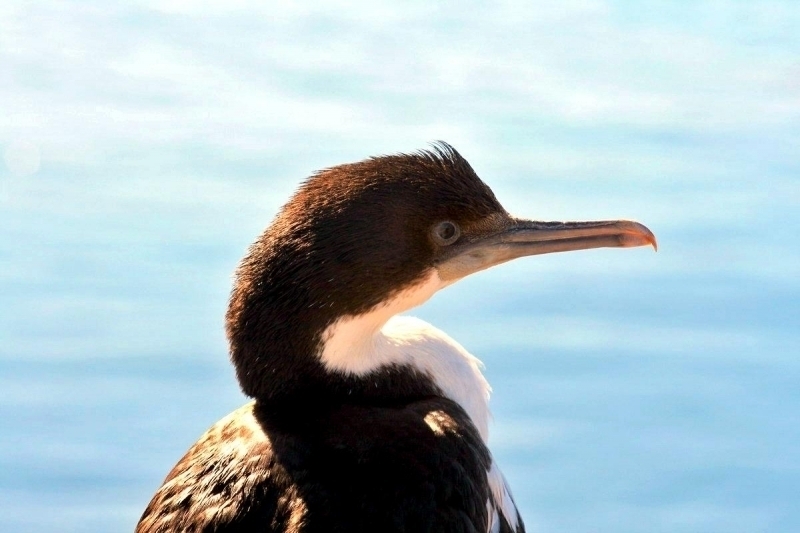 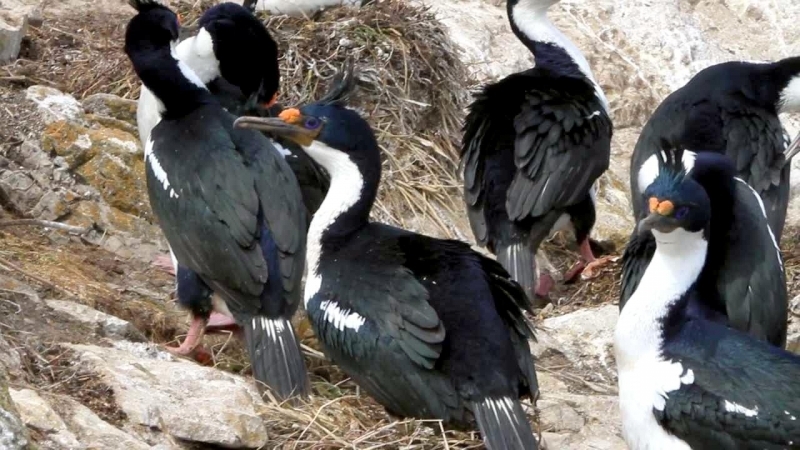 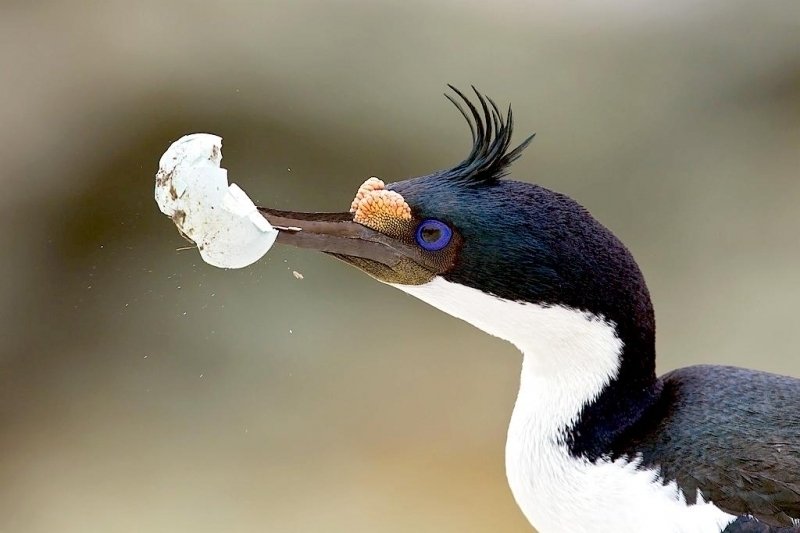 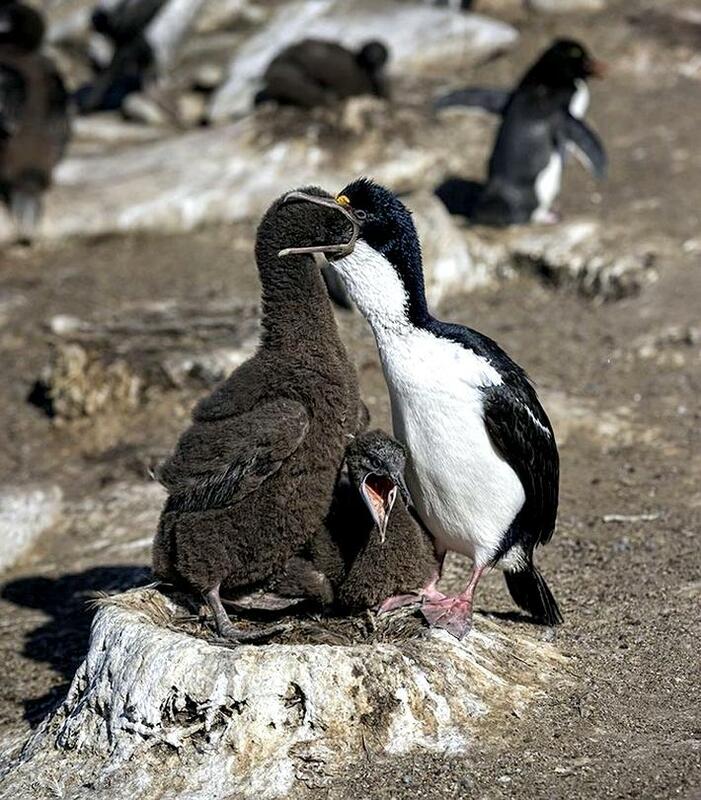 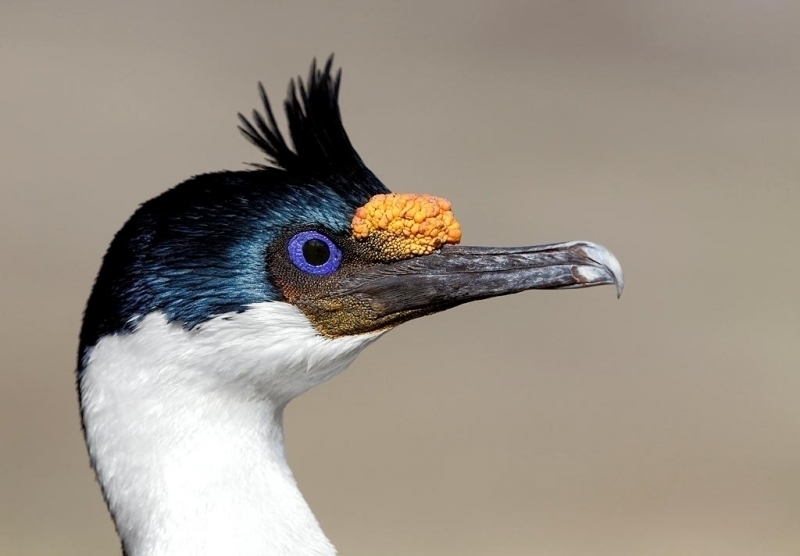 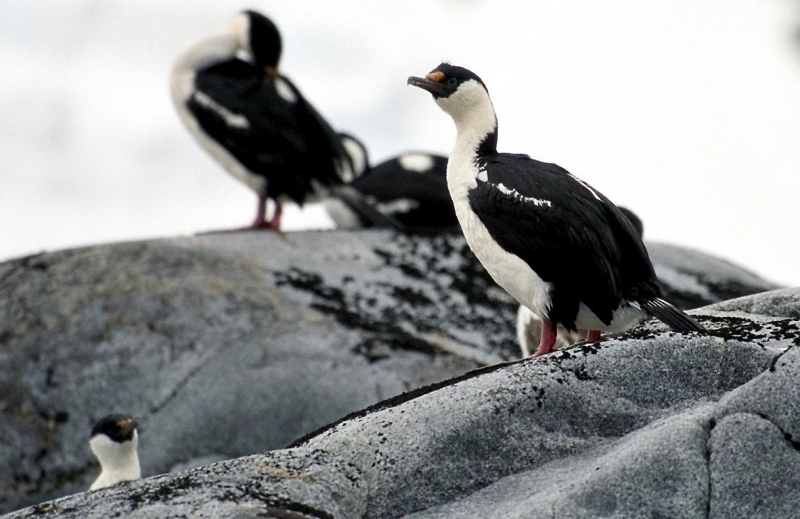 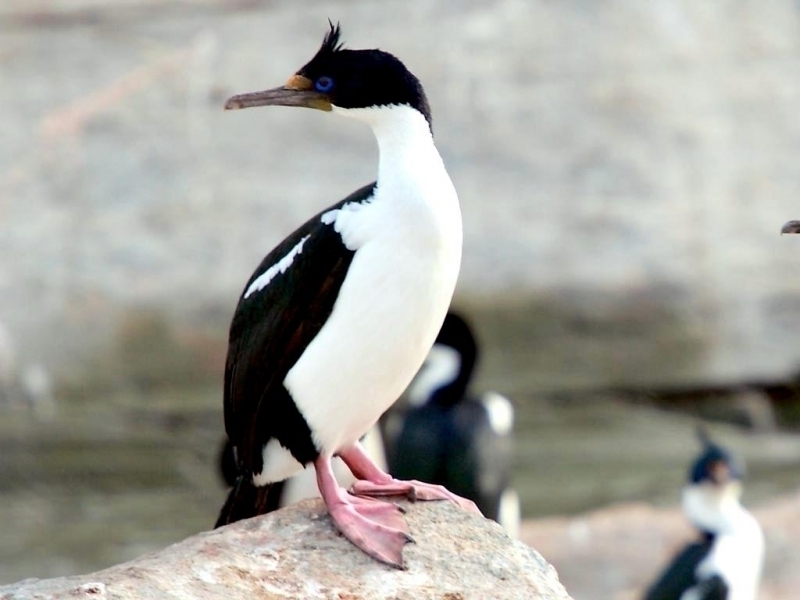 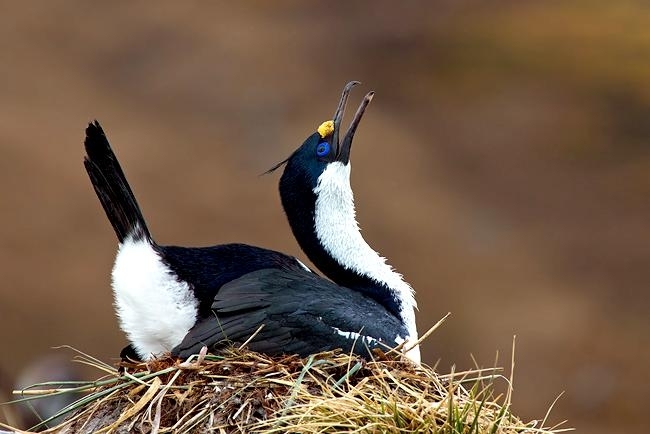 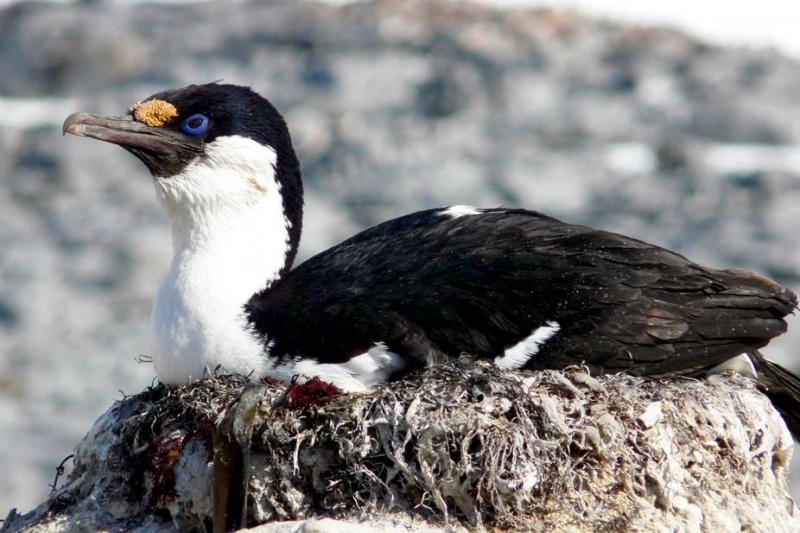 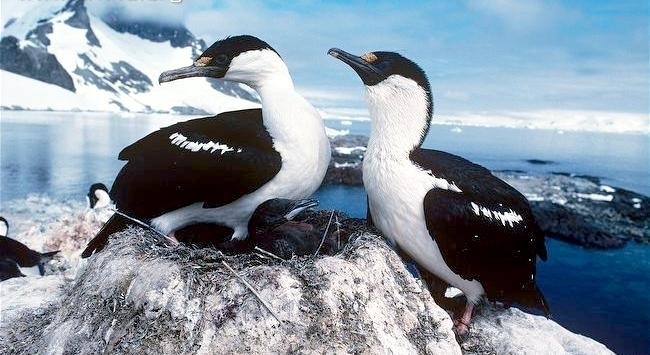 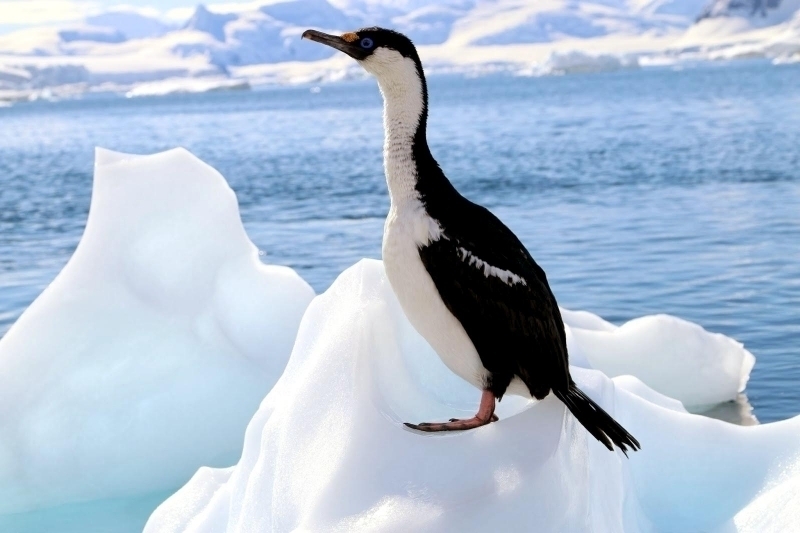 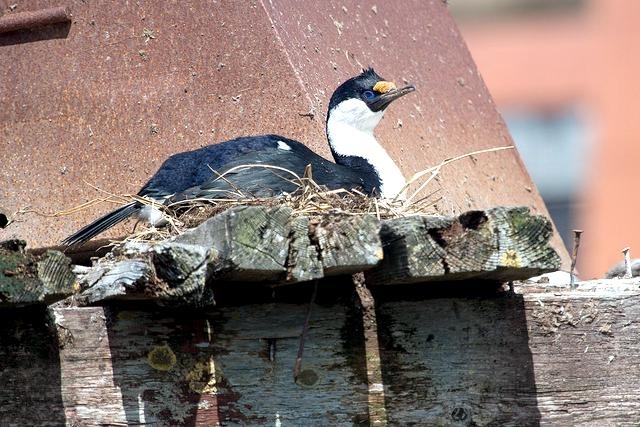 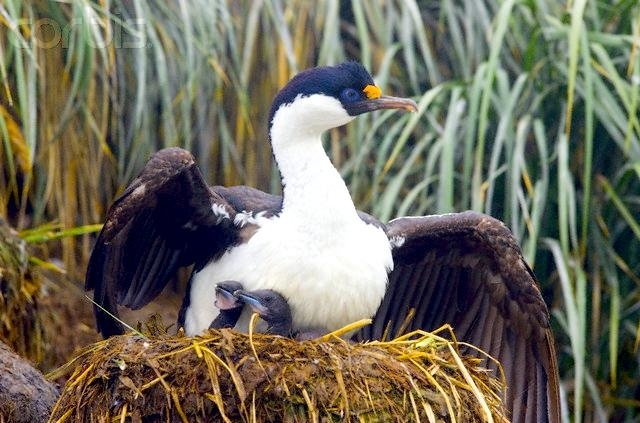 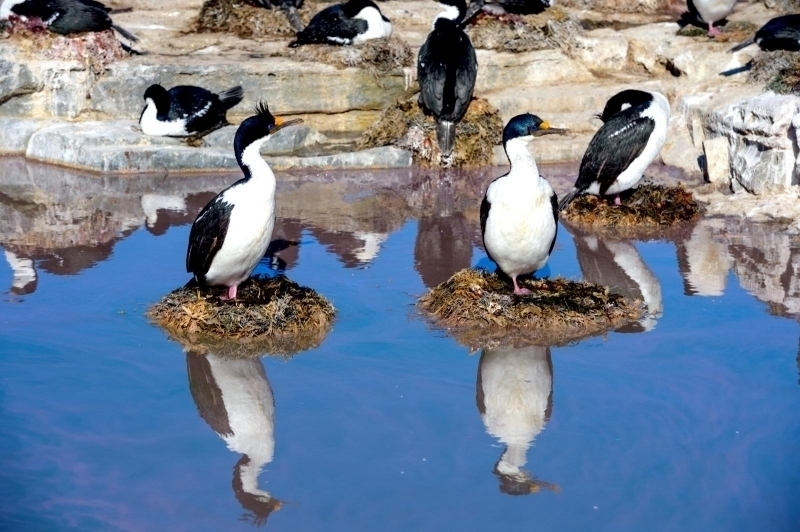 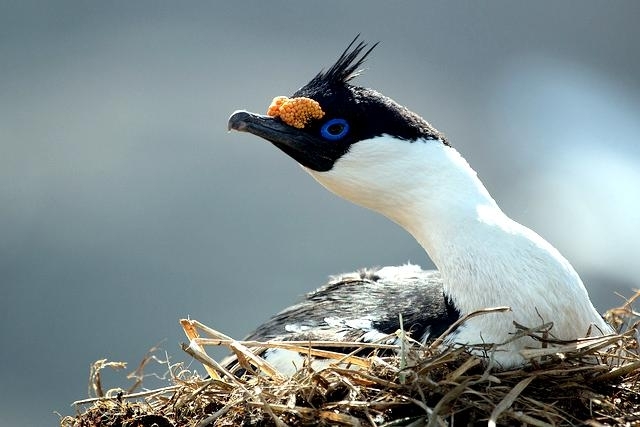 The Imperial Shag is a black & white member of the cormorant family native to many sub-antarctic islands, the Antarctic Peninsula and southern South America primarily in rocky coastal regions, but locally also at large inland lakes. 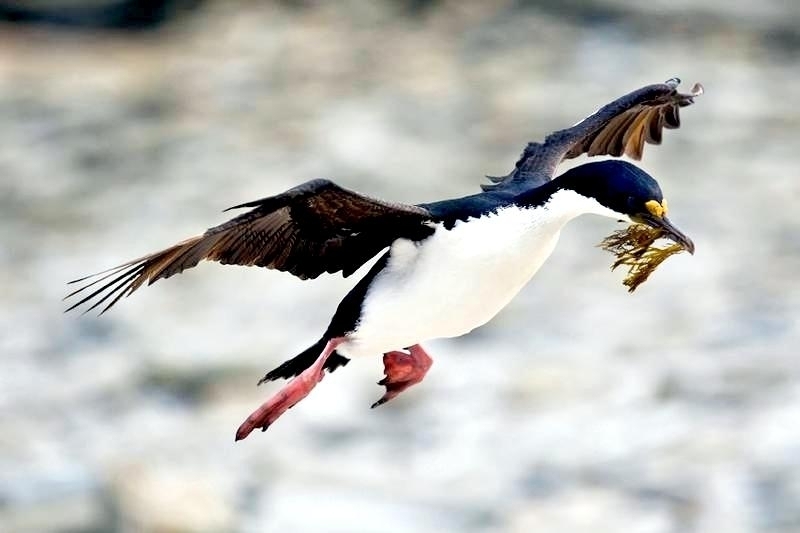 It can dive as deep as 80 feet while foraging for small benthic fish, crustaceans, polychaetes, gastropods & octopuses. 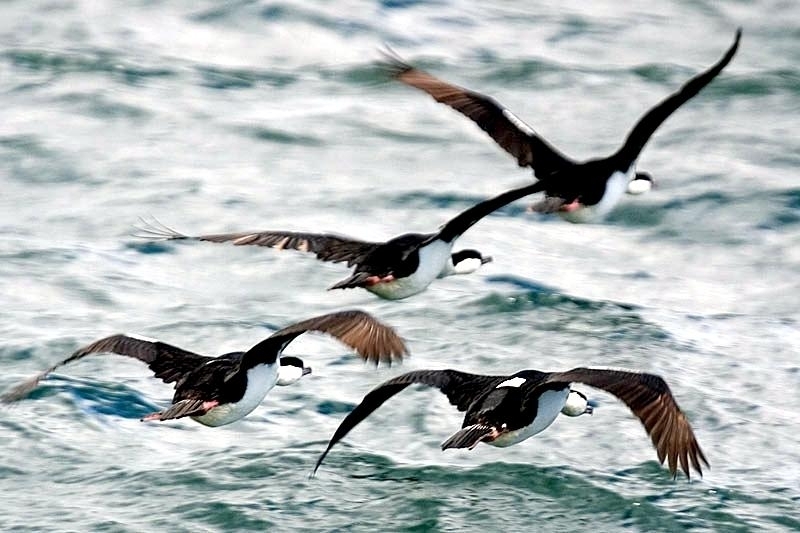 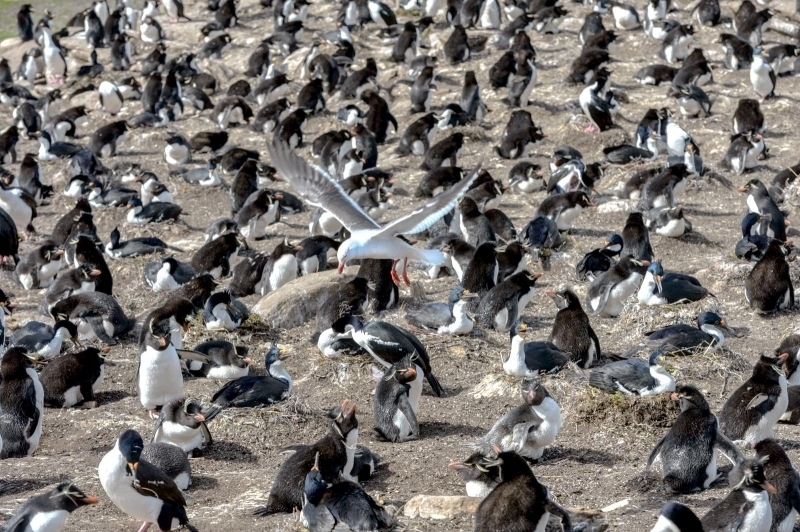 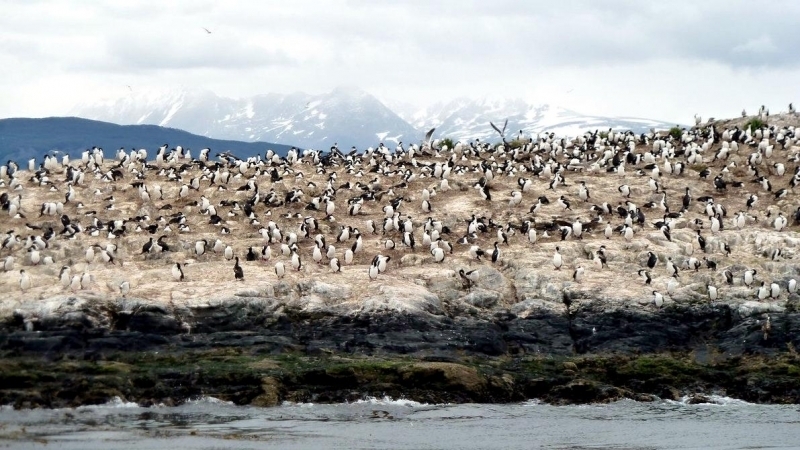 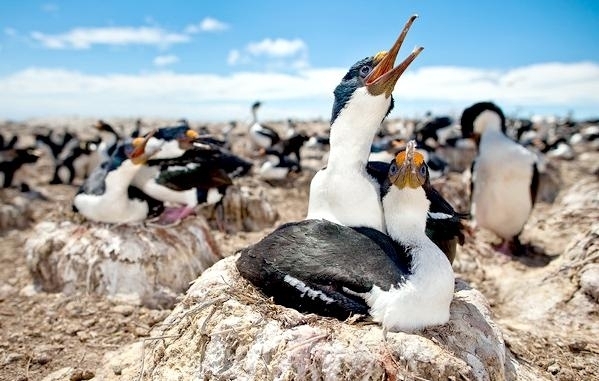 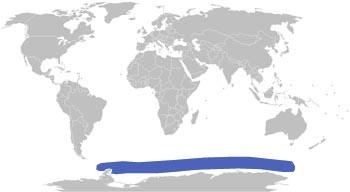 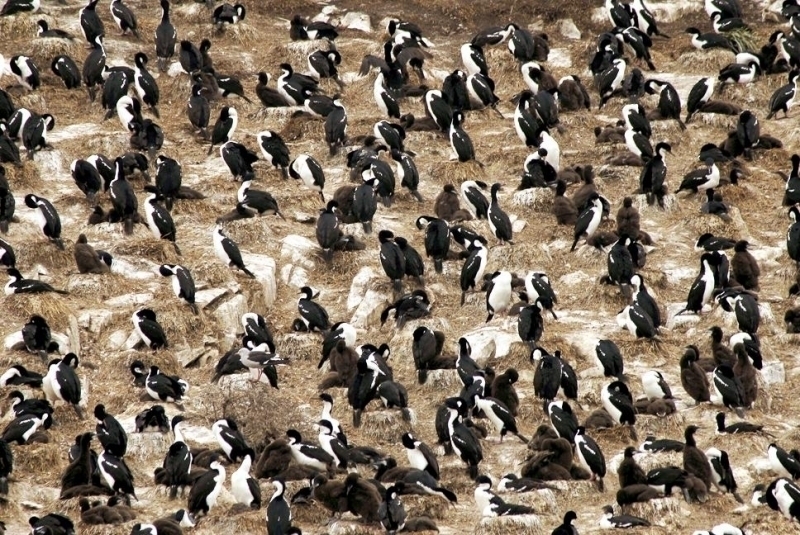 The colonies are usually relatively small, but some consist of hundreds of pairs and are often shared with other seabirds. 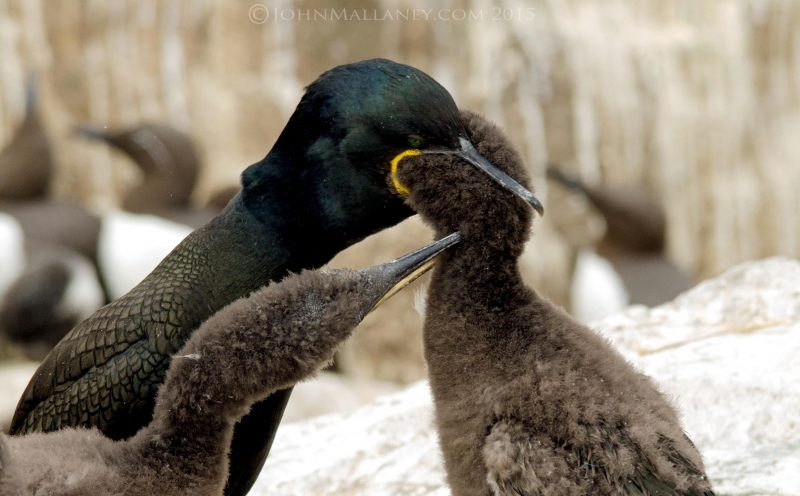 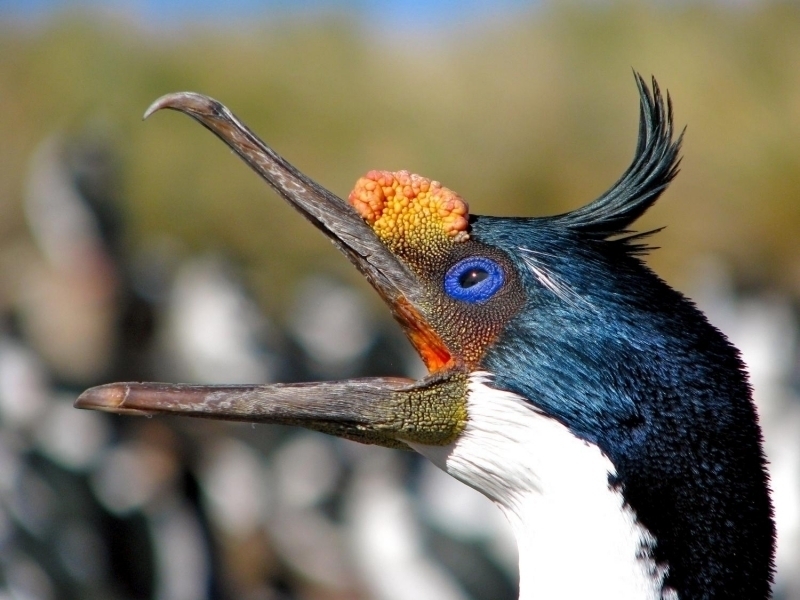 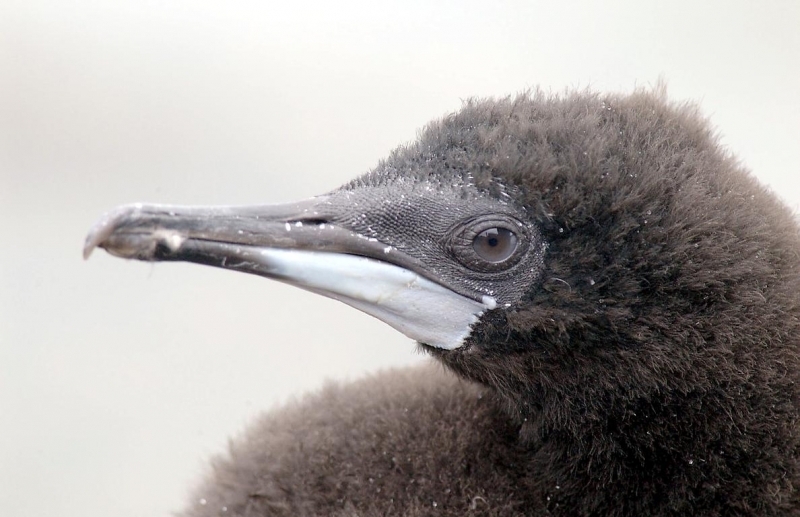 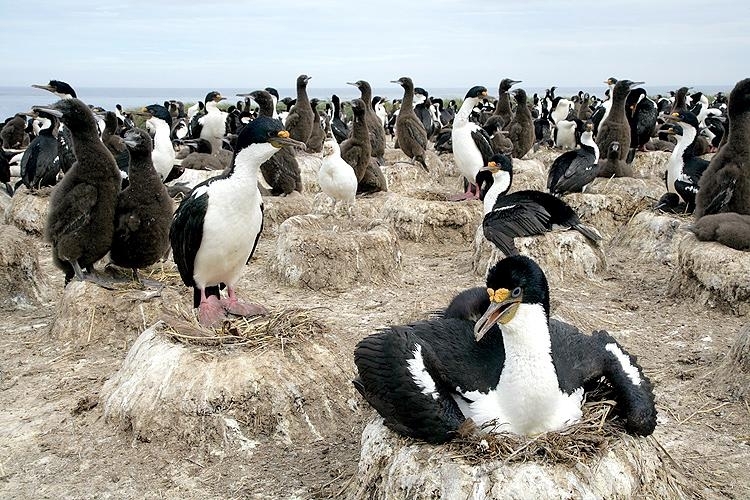 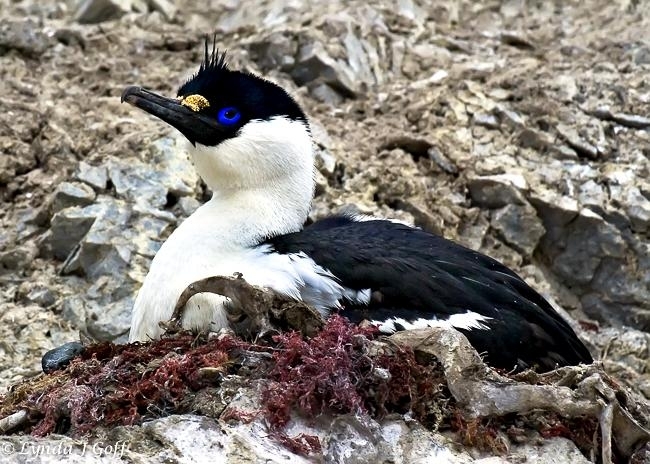 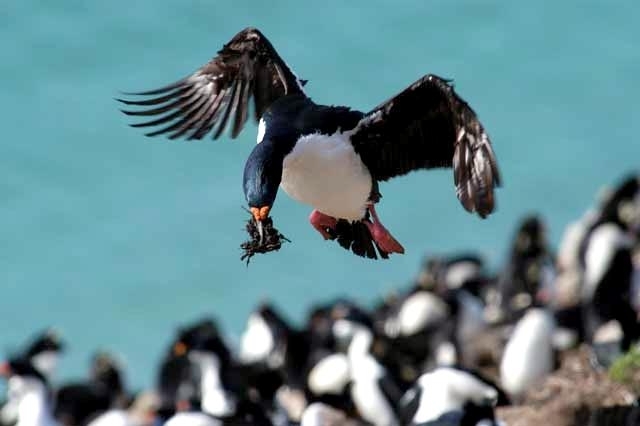 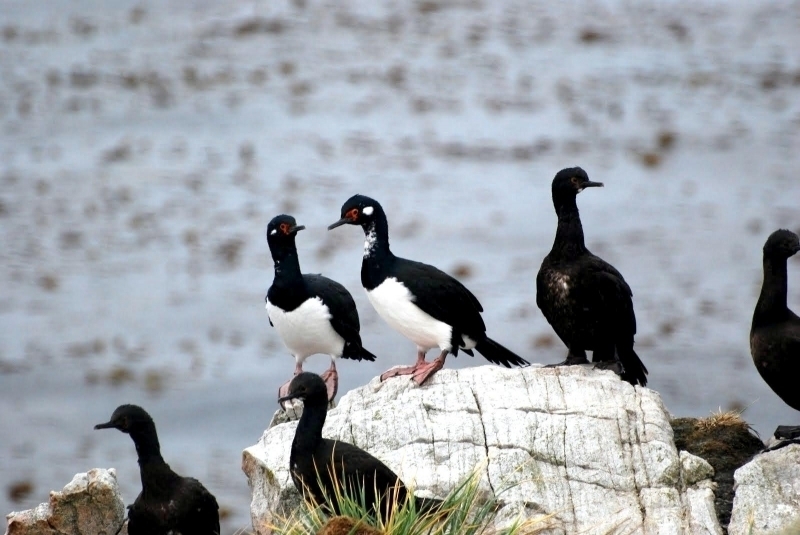 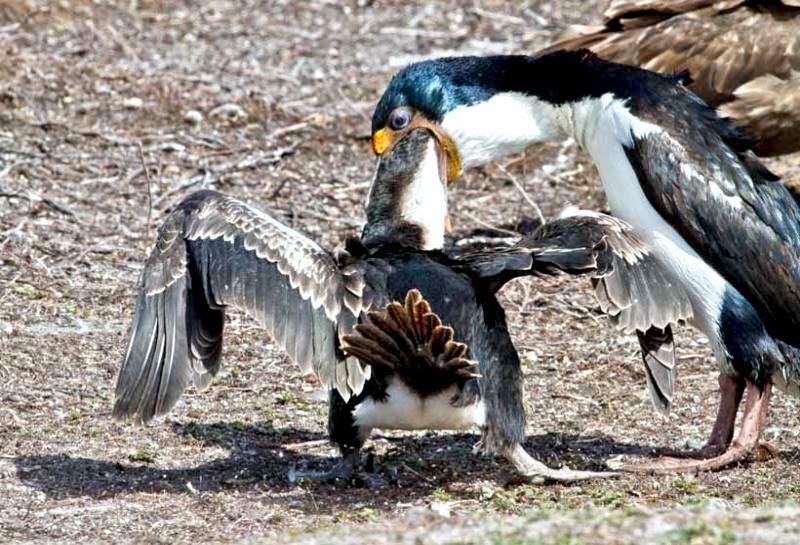 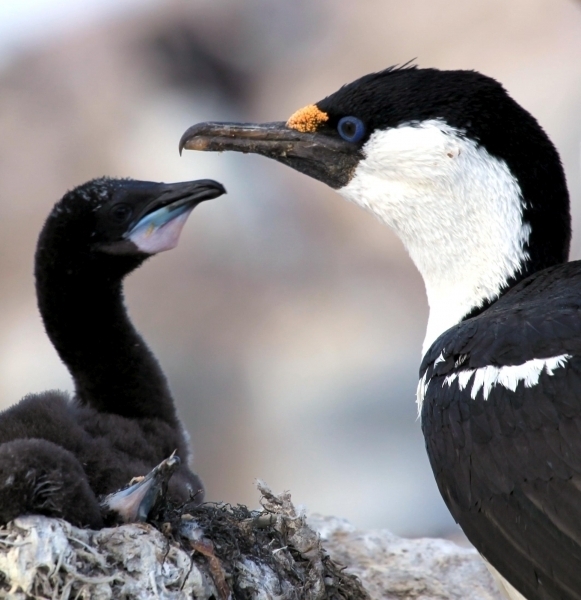 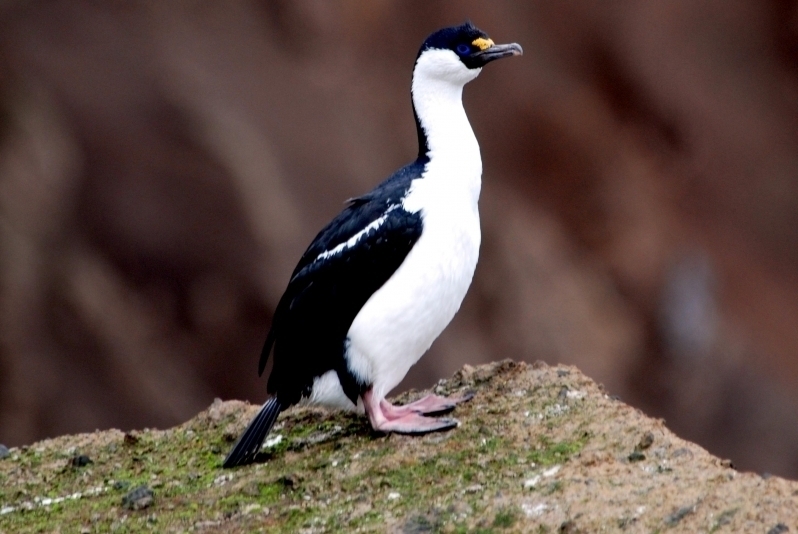 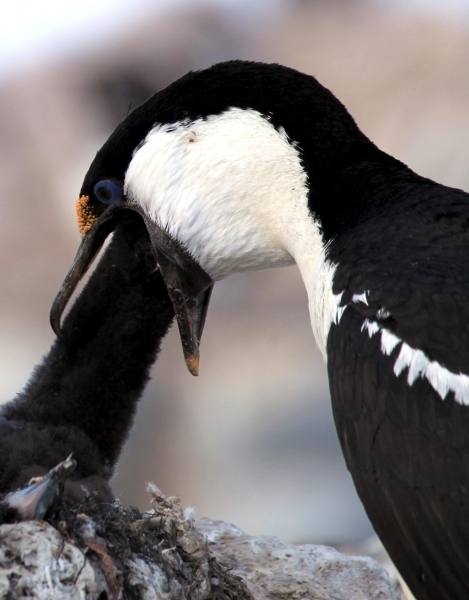 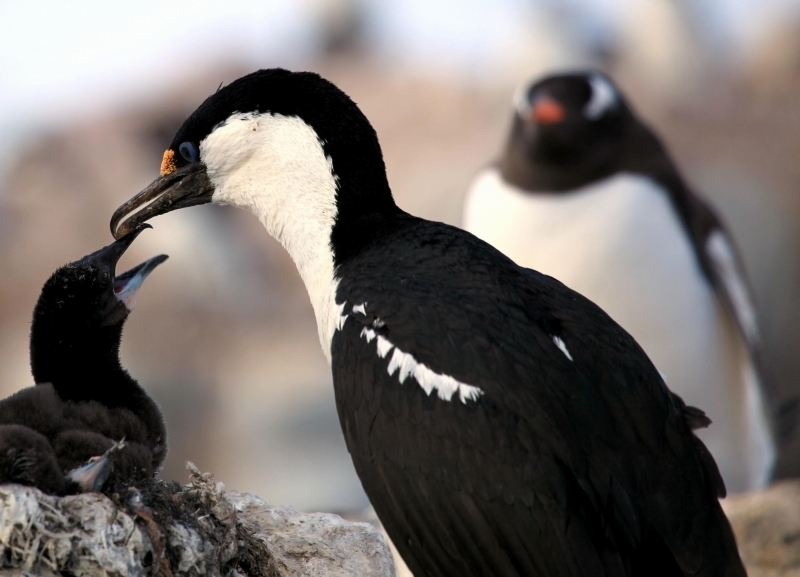 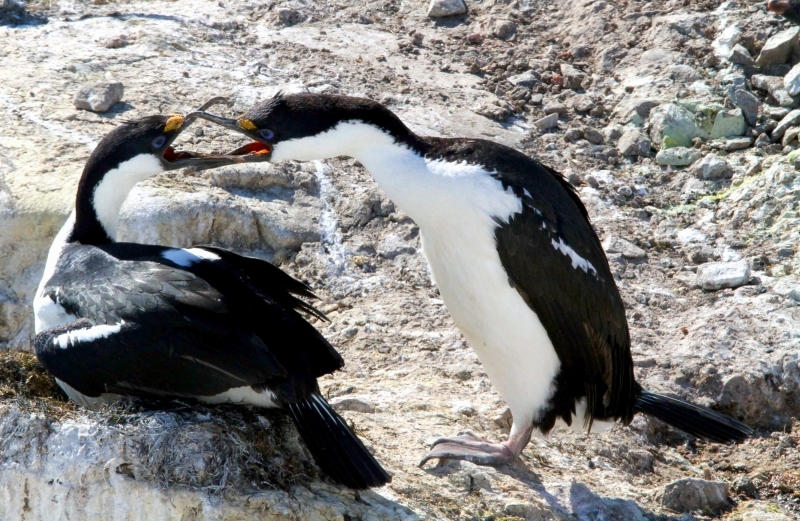 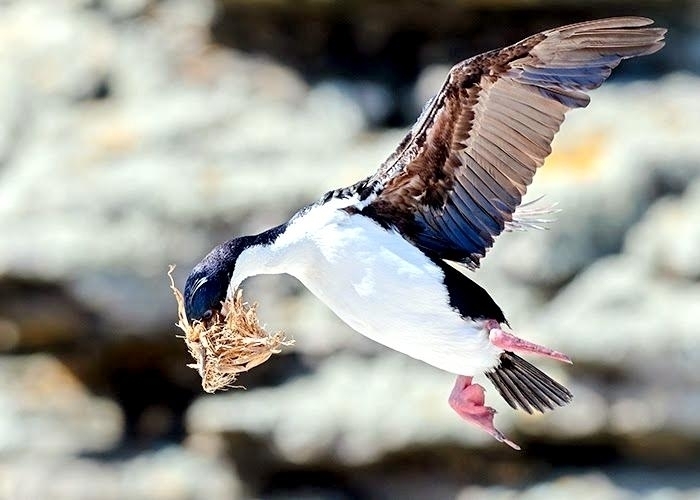 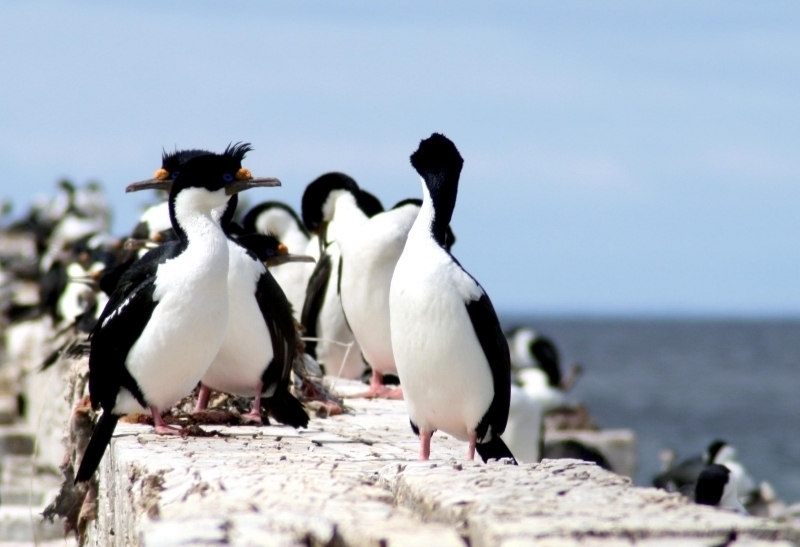 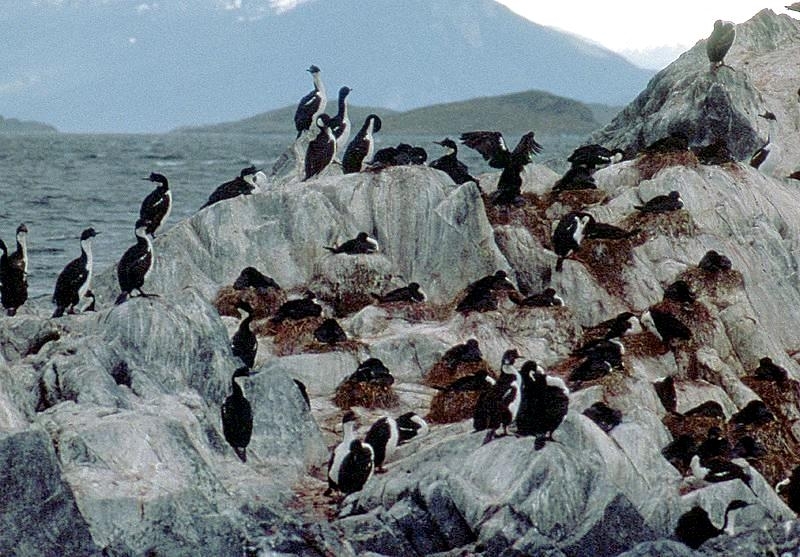 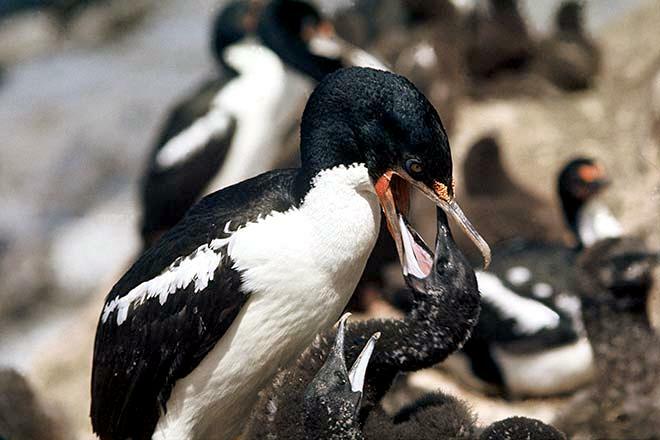 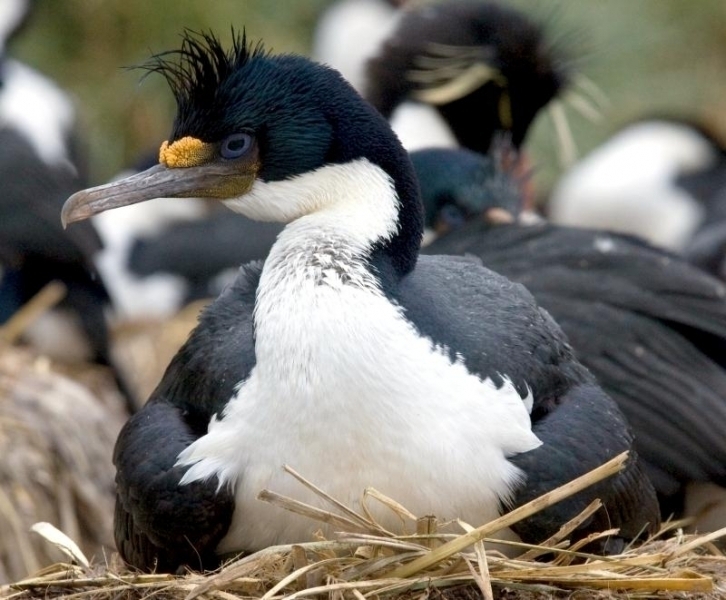 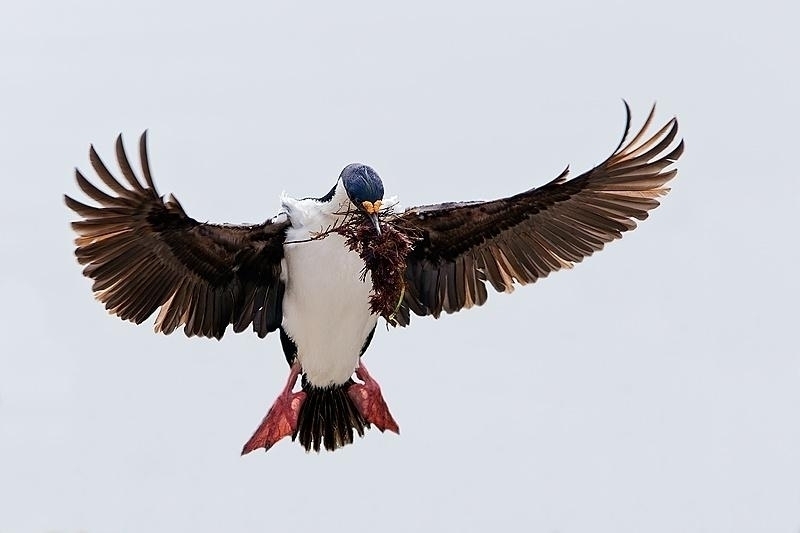 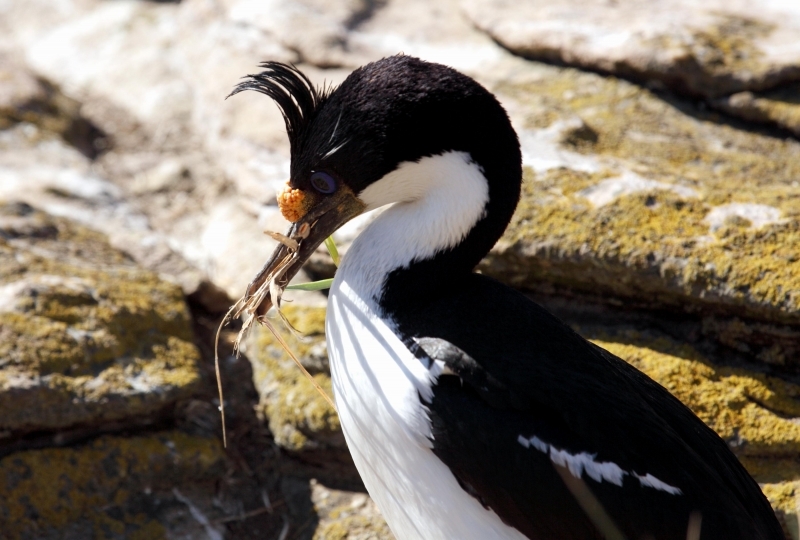 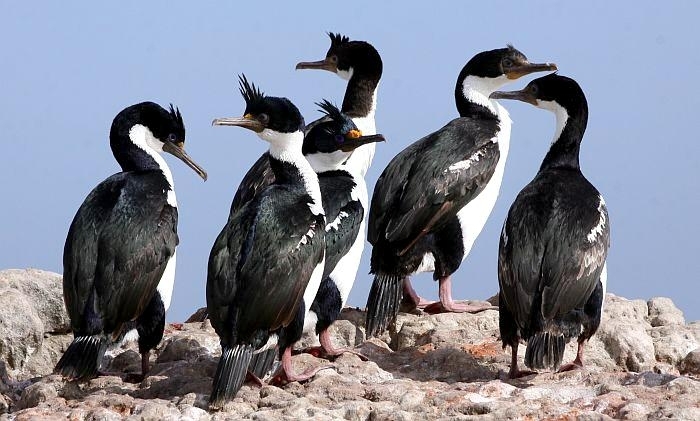 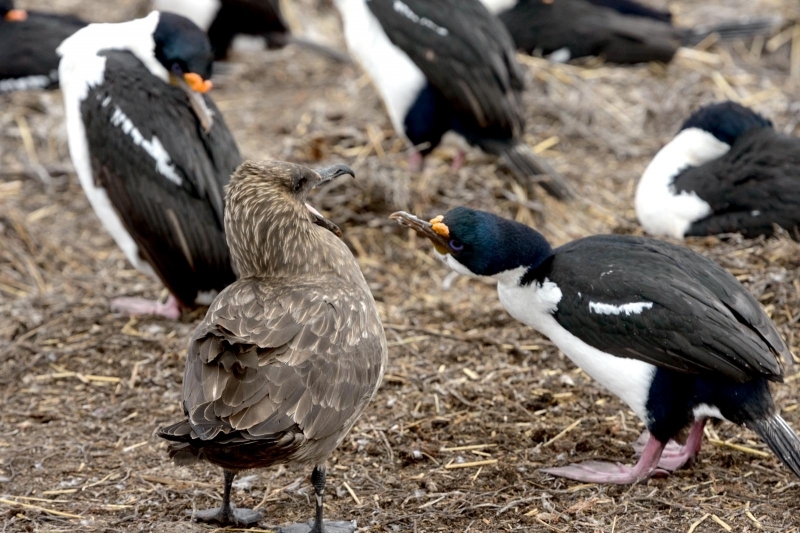 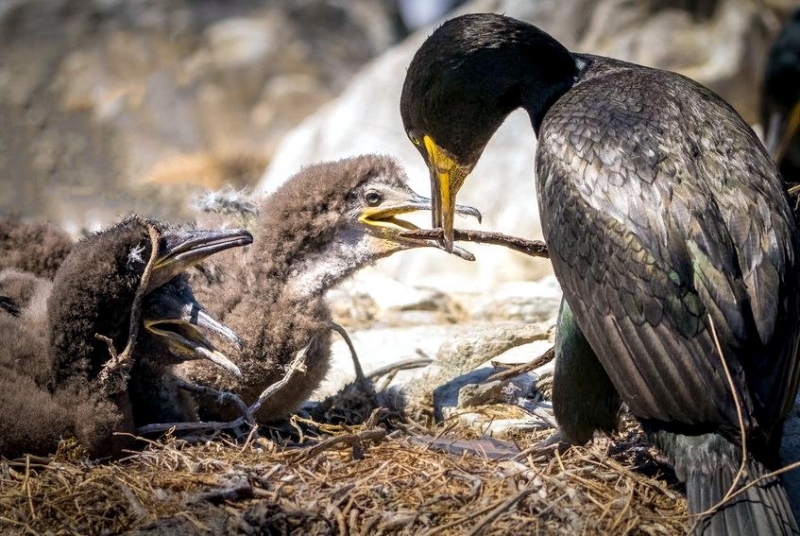 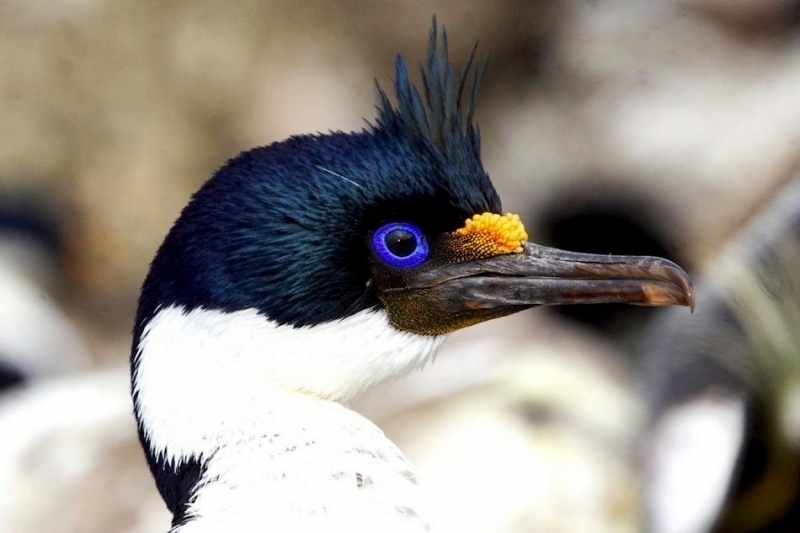 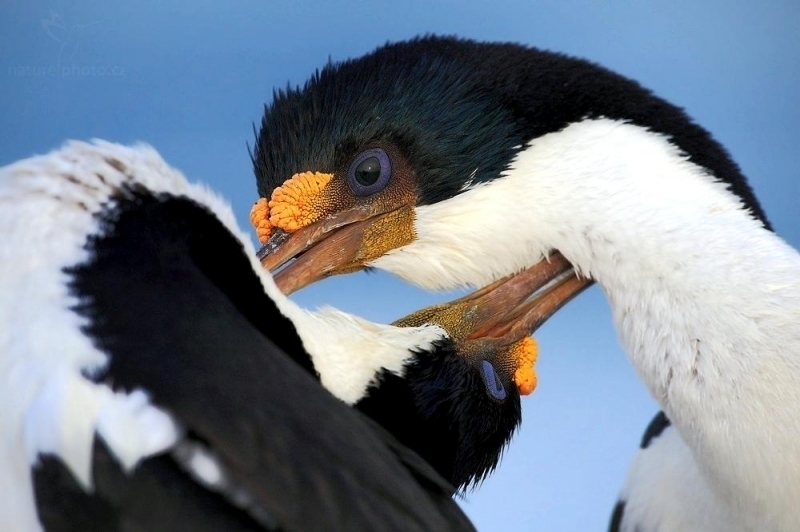 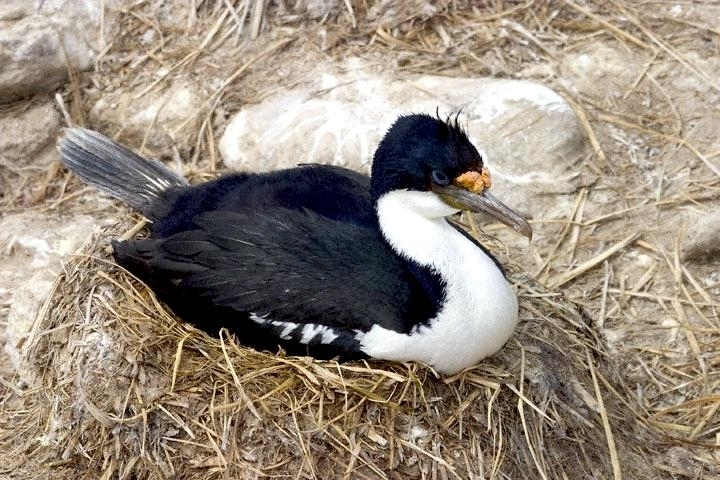 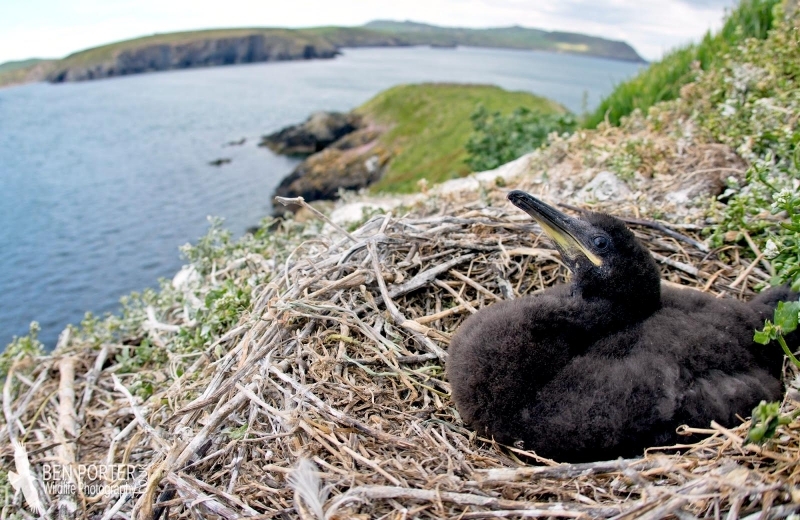 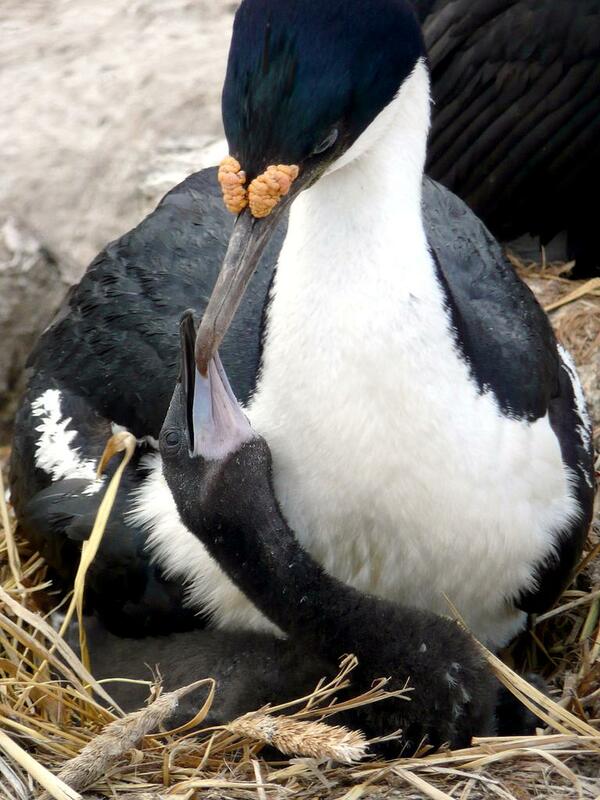 The Imperial Shag has a total length of 28-31 inches and weighs 4-8 pounds with males averaging larger than females. 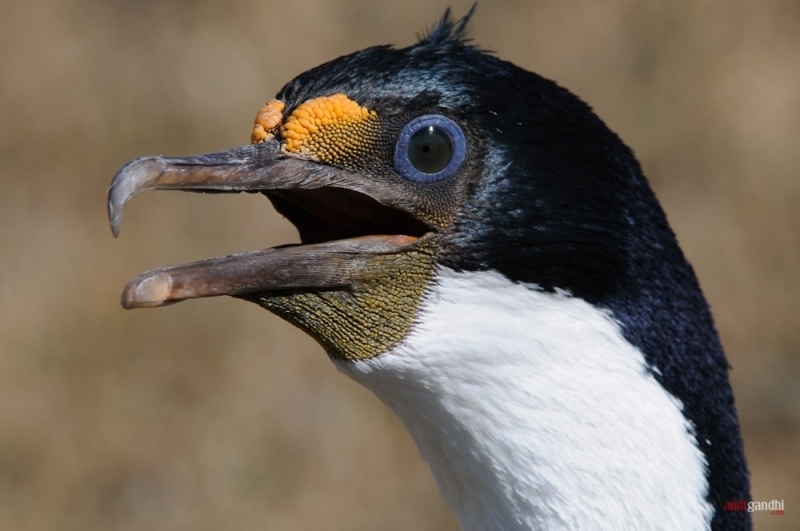 It possesses a distinctive ring of blue skin around its eyes, an orange-yellow nasal knob, pinkish legs & feet and an erectile black crest. 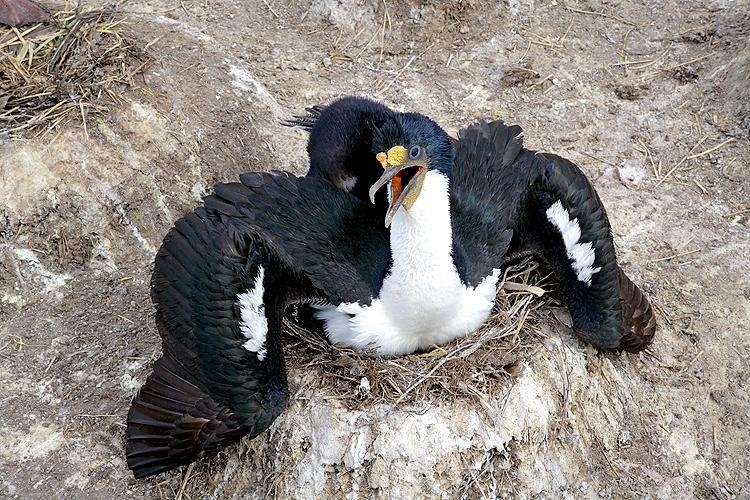 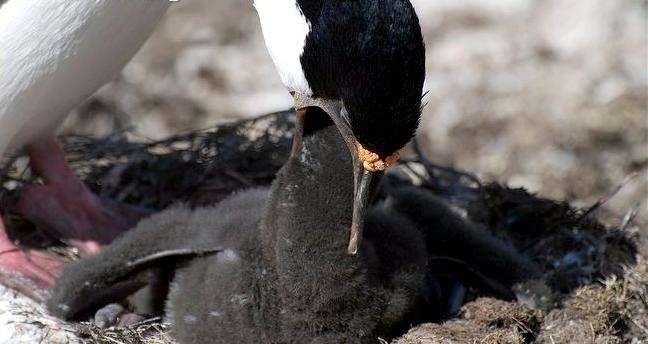 The Imperial Shag is endowed with glossy black feathers covering most of its body, with a white belly and neck. 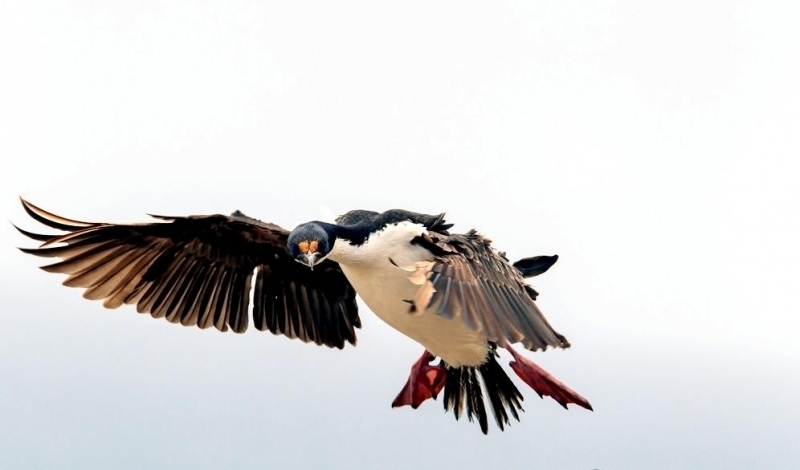 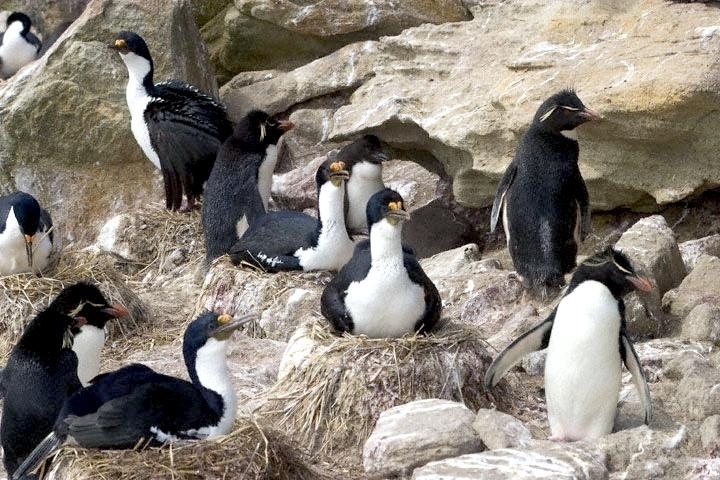 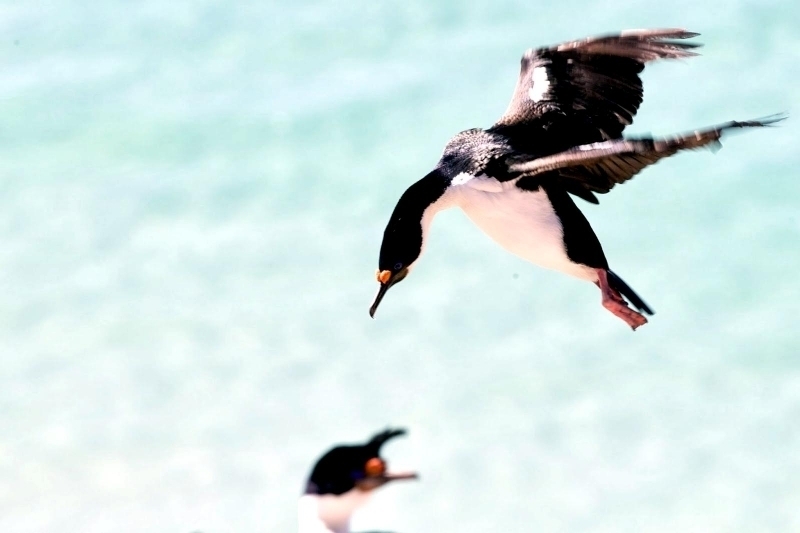 This species breeds commonly on both coasts of southern South America and on the Falkland Islands.